Sometimes the school district declared a week long Thanksgiving Holiday. Other times, in their desire to keep kids in school even when they and the teachers were mentally tasting the turkey and playing in the leaves, they’d make us all miserable by having us come to school on Monday and Tuesday of the week of Thanksgiving! I’m sure some kid learned something and maybe one or two teachers were happier in their classroom than at home in their footies! Not me. We looked forward to that week long holiday at the end of November as a time to GET AWAY! Yep. Well, of course, we didn’t go out of town EVERY year at Thanksgiving. We enjoyed many a meal around the family table with Grandpa and Memom, my brother and his family. (Oh, I’m speaking of those Thanksgivings of recent past as parents of our own kids who enjoyed some years with just our own foursome family off somewhere in the hinterlands.) As a child, yes, Thanksgiving was a sacred time at home around the table of our parents and the holy of holiest football games – the tea-sippers of Texas vs the Aggies. Dad was usually seen wearing his traditional orange polo and slacks. Mom would beam at him. After all, she was the one who not only bought the shirt but laid it out for Dad to wear that morning! She always claimed he was color-blind. Not too many years ago, on the day following Thanksgiving, the four of us packed up the van and loaded our bikes onto the bike rack on the back and headed out for the six long hour drive to New Orleans. We had also heard it was going to be a cold one the next day. No kidding! The following morning we awoke to 28 degrees of brilliant sunshine! We donned everything we could find: scarves, hats, gloves, sweatshirts, more socks, you name it. We each resembled bulging overstuffed forgotten turkeys. We drove to the public park just outside of town at the foot of the levee and unloaded our bikes. Burrrr! It was quite nippy! What on earth are we doing? We nearly forgot about the cold after we walked our bikes to the top of the levee and saw…….oh what a beautiful sight! 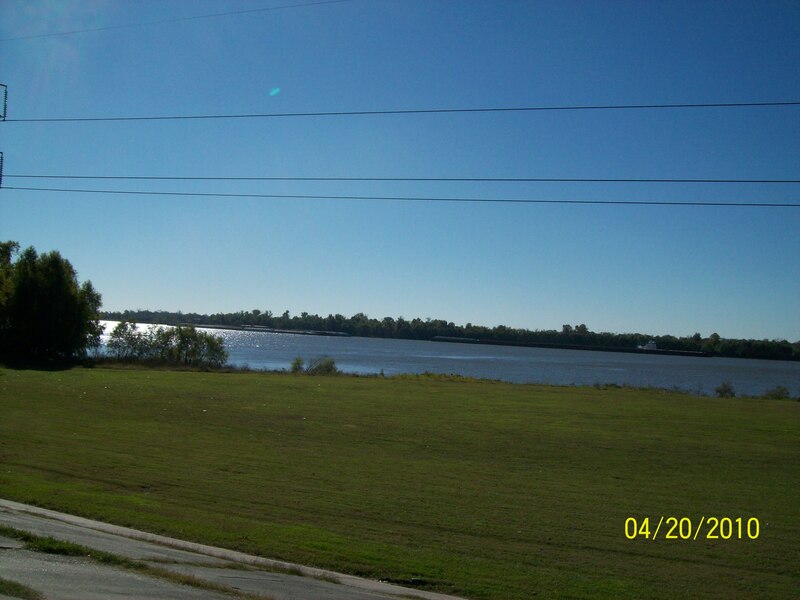 The very MIGHTY MISSISSIPPI RIVER flowing right there in front of us! We rode slow – I did, taking in the sights on either side of the asphalt running track atop the levee. 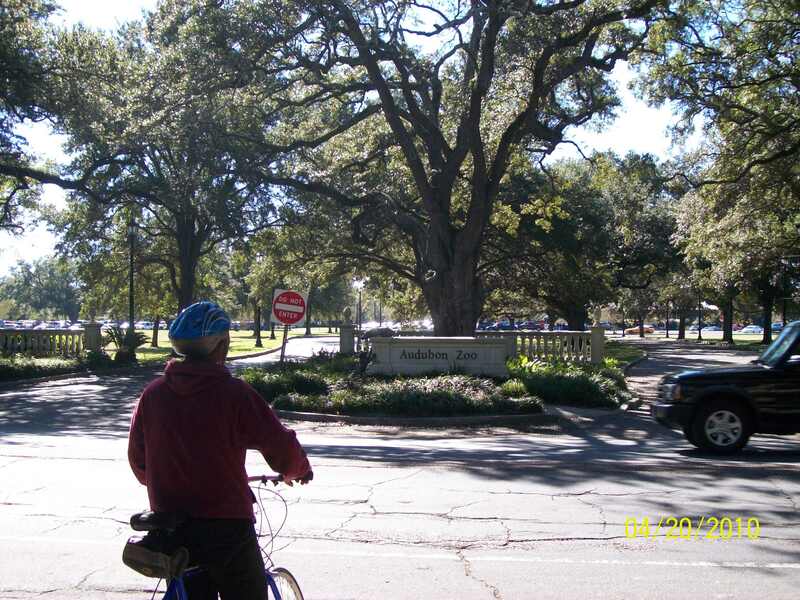 It was an amazing glorious bright sunny crisp cold day and we had 12 miles to enjoy it before riding straight into Audubon Park. Once in the park Beloved and I found a park bench on which to sit and view the pond with its fountain in the middle. After resting just a moment or so, we mounted our bikes and headed for the lovely well planned zoo! The elephants were hilarious and delighted all of us onlookers ! We stayed for about 2 hours before getting on our bikes and heading back down the levee. No, it wasn’t as much fun. Okay. 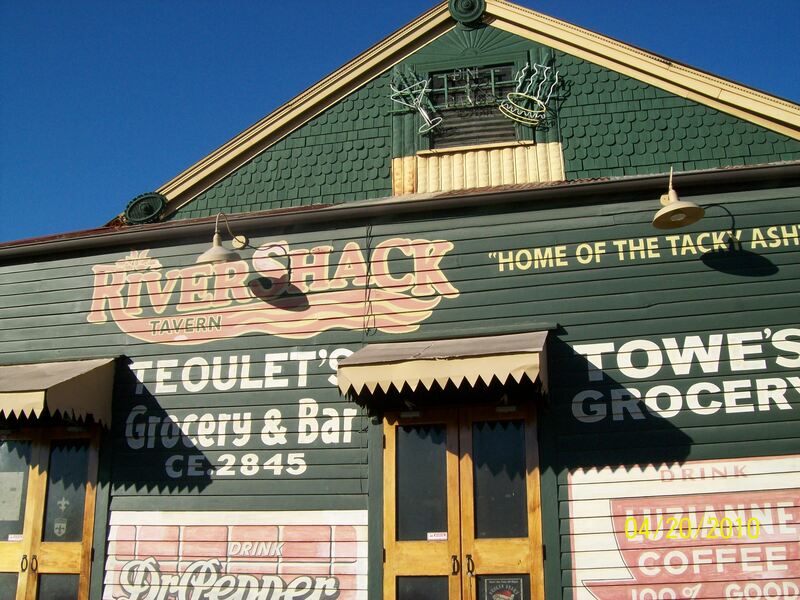 We were hungry and we had now seen the Mississippi and the lovely homes and it was time to eat! We spotted a sports bar/café at the foot of the levee midway along the ride so we turned down the hill and parked and ate. Huge delicious hamburgers. Oh how we all enjoyed the rest and the food! When it was time to head for the van, oh my goodness, we had truly over rested! Can one do that? Yes! Those last six miles were the worst. Eventually we each found the van and loaded the bike on the back and tumbled in ready for a nap at the hotel. I will long remember that delightful trip to New Orleans and the scenic ride atop the levee. The four of us cycling together in a straight line alongside the Mississippi one side and lovely homes on the other. What is my take away? Watching my sons as they enjoyed one another along the ride, at the sports bar chowing down on their huge hamburgers, laughing and teasing one another. I’ll remember watching them ride around the park together while Beloved and I sat at the park bench, resting. And of course, our reactions to all the “interesting” folks out on Bourbon street that night when we went to hear the New Orleans Jazz Band. And seeing our eldest drive us home that long stretch through Louisania with all our nine million fellow Texans that Sunday evening. Lasting loving memories. Savored over time. This Thanksgiving, as we gather around the table with extended family we can recall the Thanksgiving trip to NOLA and laugh at all the memories as we share them with others. I’m thankful. Thankful to the Lord, for His provision of my husband, two sons, jobs which help fund such a great trip, and the health to enjoy them more.